Eight Chinese movies from 2017 that are worth your attention. As China becomes an ever-stronger film market and global power, it’s worth better understanding the nation’s culture. Movies happen to be one of the best ways to do that: which is why Cinema Escapist has compiled this list of the eight best Chinese movies of 2017. China’s film industry has advanced by leaps and bounds over the past few decades. Though I’ll admit things aren’t South Korea-quality, China has made quite a few movies of note during 2017. 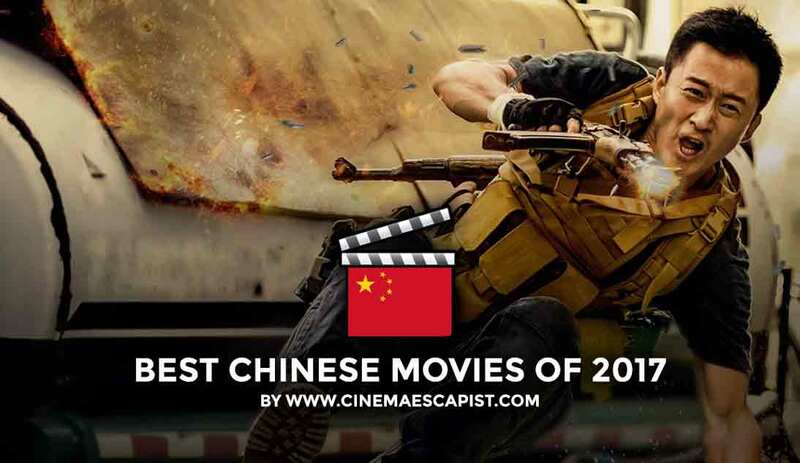 This list of top Chinese movies hopes to highlight these films… check it out! 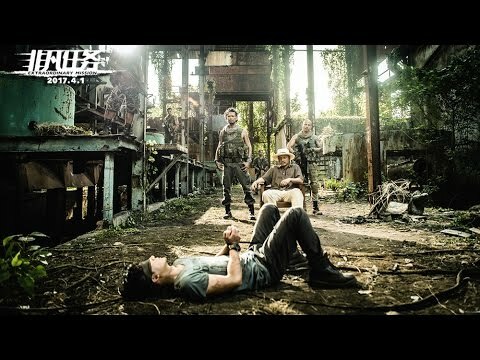 No discussion about Chinese movies in 2017 would be complete without Wolf Warrior 2. This is the highest grossing Chinese movie of ALL TIME, which is no small feat. Wolf Warrior 2 is a slick action film in which a former Chinese soldier (played by Wu Jing) saves Chinese citizens in an African country. While that might sound pretty normal for Hollywood, this is unprecedented in China. These “foreign intervention” military movies are pretty new for China, and early instances (like the first Wolf Warrior movie) had pretty shoddy quality. This is a really important film because it not only shows the progress of Chinese moviemaking, but also China’s increasing geopolitical clout. You can learn more about Wolf Warrior 2 in this article I wrote about it. Talking about geopolitics… I have to mention Kung Fu Yoga, which is a co-production between China and India. Released before the two countries sparred over border disputes this year, Kung Fu Yoga was ridiculously successful at the Chinese box office (#4 overall). Honestly, this isn’t a very thought-provoking movie. However, it’s worth putting on this list for its significance as a collaboration between the world’s two biggest rising powers. Jackie Chan also headlines the movie, and I have to admit it’s a great guilty pleasure. 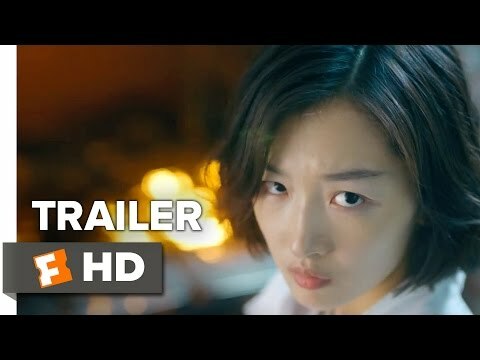 Two of China’s national sweethearts — Zhou Dongyu and Takeshi Kaneshiro — star in this foodie rom-com where Zhou plays a budding hotel chef, and Kaneshiro the wealthy investor who is trying to take over her hotel (remind you of Hotelier much?). Between mouth-watering scenes of gourmet food, director Xu Hongyu sprinkles playful moments of Zhou and Kaneshiro’s relationship developing — and as an added bonus, Lin Chi-ling makes a guest appearance. This is Not What I Expected is a perfect, light-hearted film to accompany your travels (or sitting around at home). Oh boy, more geopolitics, but also entertainment! This is starting to be a theme! Our Time Will Come is a Chinese World War II movie that features the anti-Japanese resistance during the occupation of Hong Kong. Technically this is a “China-Hong Kong co-production” but, really, let’s face it, this is a Chinese movie, since one country two systems is a thing. Actually, Our Time Will Come was released on July 1, 2017, which happens to be the 20th anniversary of Hong Kong’s handover to the PRC. How’s that for political significance? Anyways, there’s a good amount of action in this movie. Also, the ever-elegant Zhou Xun is the female lead, and that’s always nice to have in a movie. Ah yes, this is another great movie to have with multiple glasses–oh sorry, bottles– of erguotou. Never Say Die is the highest grossing Chinese comedy of all time. The plot is pretty simple… a male boxer switches bodies with a female journalist, and crazy stuff happens as a result. Never Say Die‘s comedy is pretty lowbrow, but hey, it works. Why? Because it got a LOT of RMB. Did I mention RMB? Gotta get that red money. Now we’re starting to get into Chinese movies that don’t necessarily need erguotou to enjoy (although I still recommend ergoutou as a general life happiness measure). In short, Extraordinary Mission talks about a Chinese cop who goes undercover to take down a Southeast Asian heroin gang. If that sounds to you a lot like Operation Mekong, you’re not alone. I consider this an even better iteration of the “Chinese police shoot up Southeast Asia” genre, if that’s even a thing. That’s because Extraordinary Mission is directed by Alan Mak, the Hong Kong director who also directed Infernal Affairs (and Initial D, funnily enough). This movie has really high production quality, and its fight scenes are awesome. Highly recommended. This is probably the most highly anticipated Chinese movie of 2017. It ended up doing pretty well at the Chinese box office, despite a “controversial” delay in release (read my article about that). Directed by Feng Xiaogang (Assembly, I Am Not Madam Bovary), Youth is a PLA-themed coming-of-age movie with tragi-romance characteristics. Oh, and as I love to point out… all the actresses have not had plastic surgery (which in this case is a good thing). Youth is a great combination of tragi-romance and Chinese history (5,000 years, do you know it)… two of my favorite things in the world. It’s like a tragi-romance, but more artistic, which makes it more unique. After watching a lot of trag-iromances, Youth was pretty refreshing. Apparently lots of people in China thought the same, since it topped the box office upon release. Duckweed is #1 on our list of the Best Chinese movies of 2017. This is a movie written and inspired by the life of Han Han, one of China’s most famous modern writers. In the movie, a young rally race driver (played by Deng Chao) gets sent back in time and connects with his father (Eddie Peng). 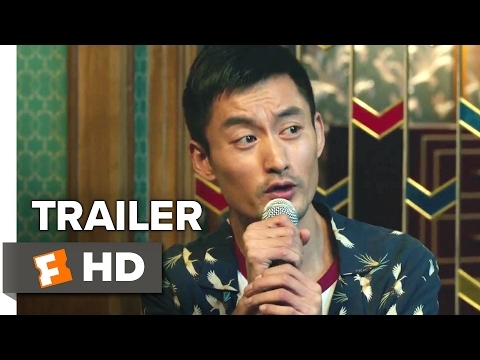 The movie is a dramatic, contemplative, but also amusing journey through China’s late 90s and early 2000s. Duckweed became a massive box office hit because this is the journey that China’s “post-90s” generation experienced. Oftentimes, Chines movies that try to be dramatic just end up creating another reason for me to drink lots of baijiu. Duckweed meets a higher bar. It has good production quality, is entertaining, and has a good story. What do you think about this list? Let us know in the comments below! Want more Chinese films? Check out the Best Chinese movies on Netflix. 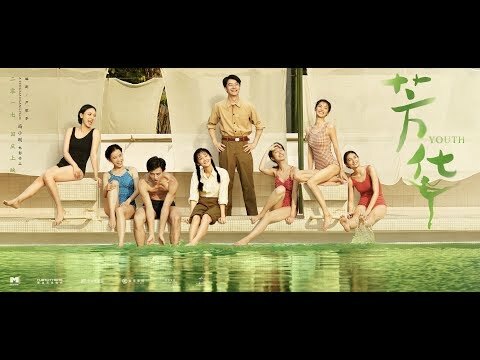 Is Feng Xiaogang’s “Youth” Really That Controversial?